Outboard oil for your boat is not the same oil that is used for car engines. The cars engine is used everyday whereas an outboard motor may sit idling for days on end. Four stroke oil used for boats are kept in salty and damp environments unlike the car. The best four stroke oil for boats is the Pennzoil 5063875 as its formula ensures the engine runs clean whilst running at wide varying temperatures. A car has multiple gears that means is can cruise along in overdrive at around 2,000 revs being the norm. However a boat under load will be revved out much higher for longer periods on time, which means it requires extra lubrication. 7 How Often Should You Change Your Four Stroke Boat Outboard Oil? 8 Can You Use Motor Oil in a 4 Stroke Outboard? 9 What is the Best Boat Engine Four Stroke Oil? You can use motor oil in a boat engine but this is not advised. 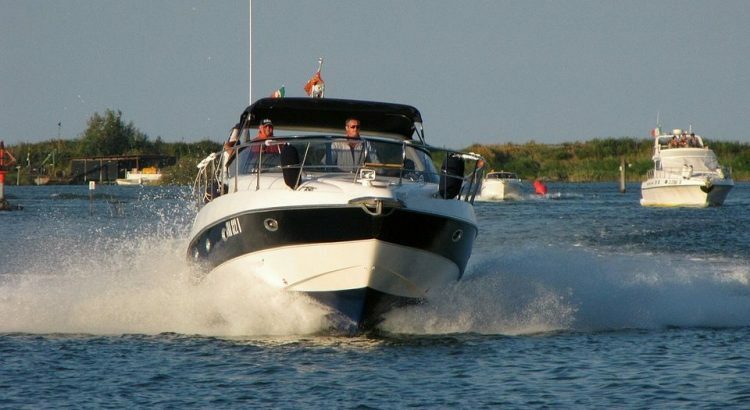 Outboard engines require additional lubrication for the engine components at the higher revs. Treating the outboard to the best four stroke boat oil is the best thing you can do for a long lasting engine. Considering the 4 stroke oil for your boat is a similar (maybe cheaper) than motor oil, there is no reason to use it. In the long run, the lack of lubrication will wear the outboard engine down that will result in expensive repair bills. Many manufacturers will also not honor any warranties claims where incorrect outboard oil has been used. It may well be safe to use fully synthetic oil as an alternative but its not something I personally would advise. All boat engine oils in this review are NMMA FC compatible and are for 4 stroke engines and not 2 stroke engines. Below is a list of the best four stroke oil for your outboard engine that will increase the lifespan and ensure it runs clean. The market leaders for premium four stroke outboard oil is Pennzoil. The Pennzoil brand is highly rated worldwide by the boating community for its improved viscosity and strength deliver protection. With additional additives, the Pennzoil 10W-30 outboard oil protects from engine rust from the salt and freshwater environments. Pennzoil 5063875 has the certification to be used in the marine environment, the Pennzoil premium boat engine oil does what it says on the tin. Pennzoil 5063875 10W-30 four stroke boat engine oil is highly rated and I personally use this with my inflatable rib. The engine did not smoke at all and ran as good as new after a well needed service and I highly recommend using this oil. Quicksilver are a reputable boating brand for servicing parts and their 25W-40 boat engine oil offers premium lubrication. The 4 stroke oil kit contains the marine oil, filter, drain plug seal and drip tray to perform a proper service. Over 5 years of rigorous testing has gone into the production of this 4 stroke outboard engine oil that features the latest technology. Quicksilver claim the additional anti-wear additives provide up to 33% better camshaft wear protection which is nothing to be overlooked and a great achievement. Quicksilver have focused on performance and engine maintenance with this four stroke oil and it is one of the best 4 stroke oil changing kits you can buy. The Yamaha outboard oil is a genuine kit that includes the oil filter as well as new washers and plugs. The value for money within this package is outstanding and the oil itself is cheaper than the premium Pennzoil outboard oil. Yamaha specify using their outboard oil in their four stroke engines to retain their warranty. Using matching engine and oil brands is the best practice to ensure a long lasting engine and smooth running. The all in one package from Yamaha provides everything you need to perform an oil and filter change for your outboard engine. Mercury are market leaders with any products related to the boating world. Their 4 stroke synthetic motor oil is one of the best available on the market today. The superior corrosion protection is one of the most recommended marine engine oils in this market. Boating engineers that use this synthetic boat engine oil claim there is no leaks or burnt oil whatsoever. The high quality oil is certified to be used within the marine environment and is a 25W-40 synthetic blend. The price alone for the synthetic oil is excellent value for the money. Mercury also sell their own branded oil filter to protect the engine from dirt build up and should be replaced at the same time as the oil. I use the Mercury Oil Filter and believe that its the best outboard oil filter on the market that uses the highest quality material for extra protection. If you are looking for cheap 4 stroke oil for your boat, then Sierra have your answer with the 18-9400-4 25W-40 FC-W 4 stroke oil. It is a premium blend (25W-40) oil with heavy corrosion protection and lubricating properties. Unlike some cheaper 4 stroke engine oils, the Sierra alternative runs clean in cold temperatures where others fail terribly. It is certified just like all the other major brands and is a great all rounder for a cheap four stroke oil service. Overall, it is the best cheap 4 stroke oil you can buy. If you are trying to keep money spent on your boat engine to a minimum, this would be the best buy and is much better than old burnt out oil that could be remaining in the outboard engine. How Often Should You Change Your Four Stroke Boat Outboard Oil? The more modern four stroke boats will have a service light similar to a car to remind you when to change the oil. However, as a rule of thumb, an oil change for a four stroke outboard engine in a boat should occur every 100 hours or at the end of the season. As with cars, its very important to stick to manufacturer guidelines when replacing oil. Too much oil can cause crankcase failure due to the pressure and too little oil will reduce the lubrication of the outboard engine. Always keep a small container of oil on board to top up the outboard oil. Older engines in particular like to burn small amounts of oil, which you can always top up. When changing your outboard oil, ensure that the oil filter is replaced at the same time. Outboard oil filters prevent dirt/debris from entering the engine, which will ensure your engines doesn’t get damaged and increases its lifespan. Can You Use Motor Oil in a 4 Stroke Outboard? The “marine” grade that you will see on many outboard engine oils is usually more expensive than motor oil. So this begs the question, can you use motor oil in your 4 stroke boat engine? Yes you can use motor oil in your 4 stroke boat engine but its not advised. There is less lubrication for the engine and it may void the warranty of the engine. Its also important to note that motor oil will not have additives to protect the engine from rust that will be caused by salty environments. What is the Best Boat Engine Four Stroke Oil? There are many factors that determine the oil you use in your outboard engine. I strongly recommend that you use marine graded oil as opposed to motor oil. The additional additives are worth paying the extra. Factors such as choosing matching brands (engine and oil) is also recommended but it really doesn’t matter. The outboard oil that has been recommended in this article are hand picked to be the best boat engine oils to choose from. In my opinion, the best boat engine oil to buy if you are not going for matching brands is the Pennzoil 5063875. The performance fully synthetic formula is of the highest grade and provides many benefits that the others cannot match. It may be slightly more expensive but is definitely worth every penny.